Kenneth D. Makovsky is President of Makovsky + Company, one of the largest global independent public relations firms in the U.S. The company, founded in 1979, is headquartered in New York, with divisions in financial & professional services, health, technology, investor relations and interactive services. 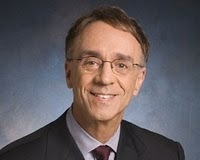 Mr. Makovsky has led award winning public and investor relations programs for many of the world's major organizations. A leading industry magazine has named him a "Public Relations All-Star" and the top business-to-business counselor in the public relations industry. His firm has been engaged by such companies as IBM, Ernst & Young, Subaru, Citibank, Booz Allen Hamilton, General Motors Asset Management, Dun & Bradstreet, Schering-Plough, Beech Nut, JP Morgan Chase, EDS, Abbott Laboratories, MetLife, Pfizer, Alcatel, Cigna, Searle, Schwab and many other leading organizations. Mr. Makovsky is a founder and past president of IPREX, the third largest global corporations of public relations firms in 68 cities and 23 countries. His articles on public relations have been published in professional journals, and he has lectured before universities, associations and international corporations. Mr. Makovsky is a member of College of Fellows, the honorary organization of the Public Relations Society of America; the Arthur Page Society; and an Advisory Committee of the Newhouse School of Communications at Syracuse University. He is former president of the Washington University Alumni Club in New York and currently is a member of the University’s Board for the School of Arts and Sciences. Mr. Makovsky is listed in Who's Who in America and Who's Who In Industry & Finance, and Inc. Magazine named him a finalist in its "Entrepreneur of the Year" awards program. Mr. Makovsky holds a Juris Doctor degree from Washington University School of Law in St. Louis, Missouri, as well as a Bachelor of Arts from the University.